Home Unlabelled 3 Serious Reason Why You Need To Stop Using Your Smartphone At Night! 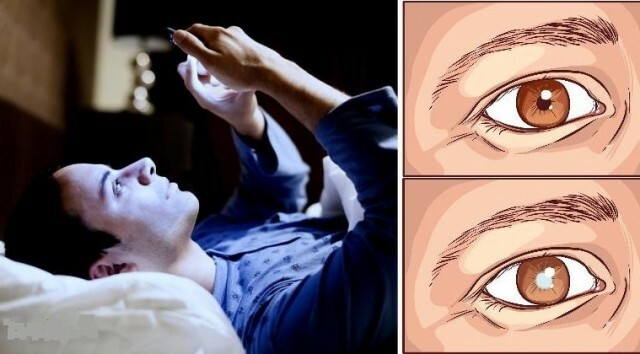 3 Serious Reason Why You Need To Stop Using Your Smartphone At Night! If you are like most people, you spend some time at night using your smartphone before bed. Just a final check-up on how friends are doing, a game of Candy Crush, and a quick look at tomorrow’s weather seems perfectly safe and normal. However, as smartphone use increases, so does the research, and it is not looking good for our bodies. Cell phone radiation is a common problem that many people talk about, but it isn’t the only thing we should be worried about. 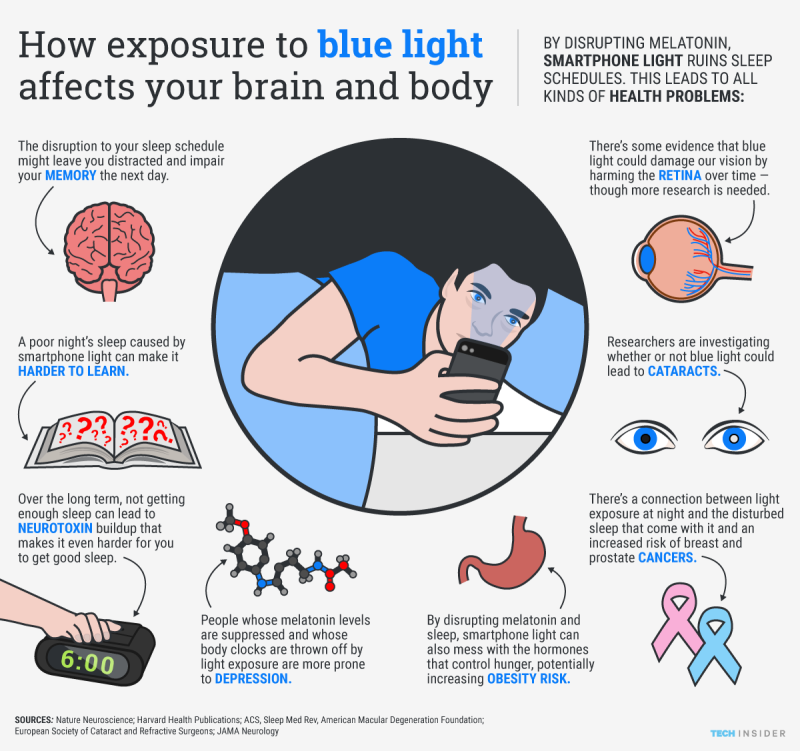 The “blue light” that smartphones produce has been linked to some pretty serious health issues. “Blue light is part of the full light spectrum, which means we’re exposed to it by the sun every day. However, nighttime exposure to that light, which is emitted at high levels by smartphones, tablets, laptops, and other LED screens, may be damaging your vision. “Blue light” exposure at night has been shown to cause damage to the retina and macular degeneration. 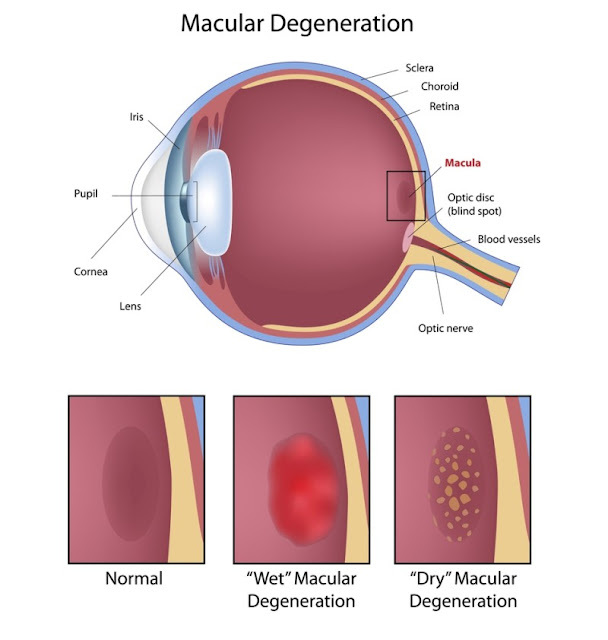 Macular degeneration is the loss of central vision or the ability to see what is right in front of you. Cataract development may also be linked to blue light exposure. One doctor has come across 35-year-olds with cloudy, cataract-affected eyes similar to 75-year-olds. As we mentioned above, “blue light” disrupts melatonin production. Melatonin is a hormone that regulates the body’s sleeping cycle. Without a properly regulated sleep cycle, you cannot get enough of the sleep you need. Lack of sleep or skewed sleeping cycles are associated with a whole bunch of health issues. Increased light at night and resulting sleep problems have been linked to a higher rate of cancer. This is especially true for breast and prostate cancer. Basically, melatonin helps the body fight cancer and “blue light” decreases this production. A one-time disruption would not be a serious issue, but there are some people who use their phones for hours at night before going to bed. They do this everyday of the year. Overtime, this begins to add up and create the problems listed above.